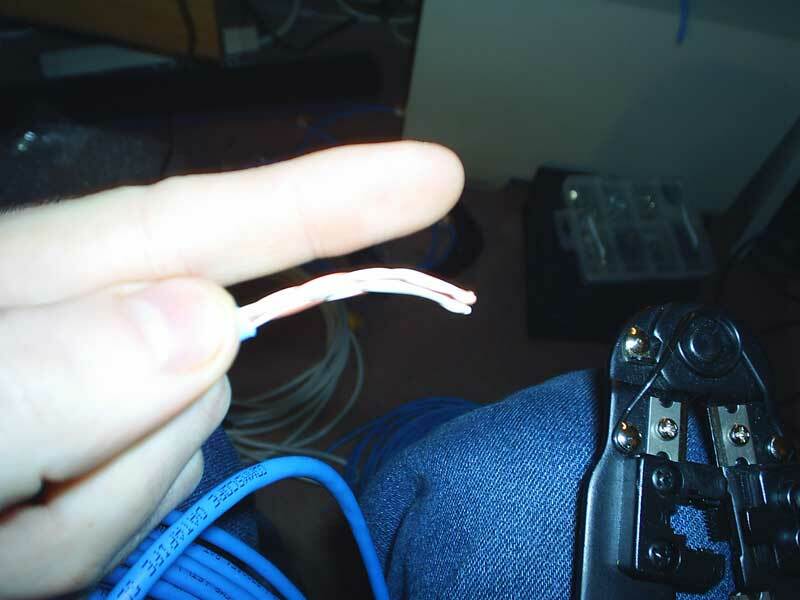 Put a incision around the CAT-5 wire with the crimping tool or scissors where you want to snap the casing off the cable. The arrow points to where I put my incision. 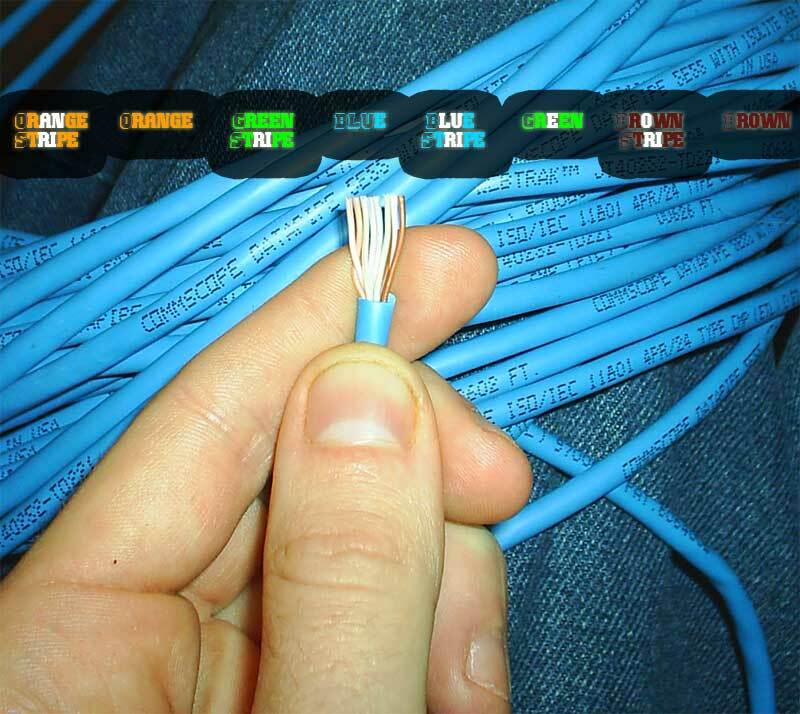 Arrange your wires into the proper order designated by the picture in step four and then get ready to cut them to the proper distance for fitting into the connector. We add the extra space to make sure that the wires are easy to arrange. 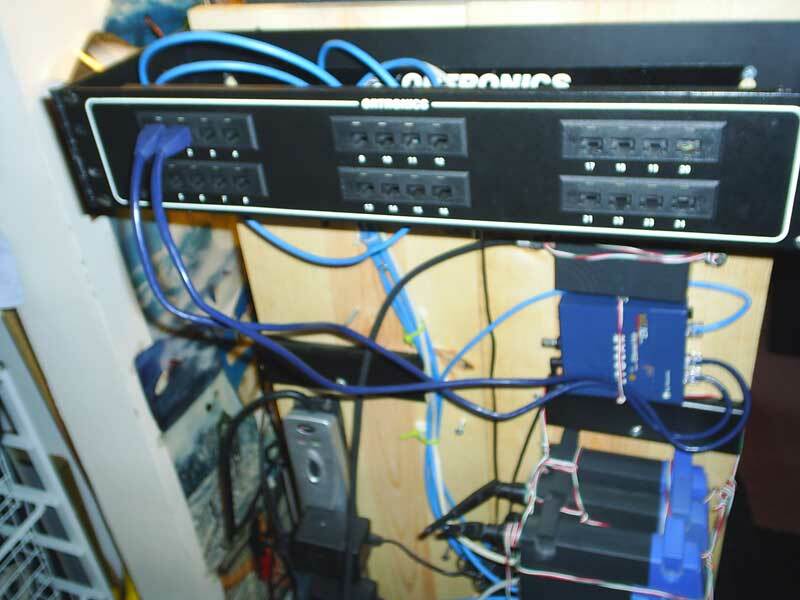 Arrange your wires for step three in the order provided in this picture. 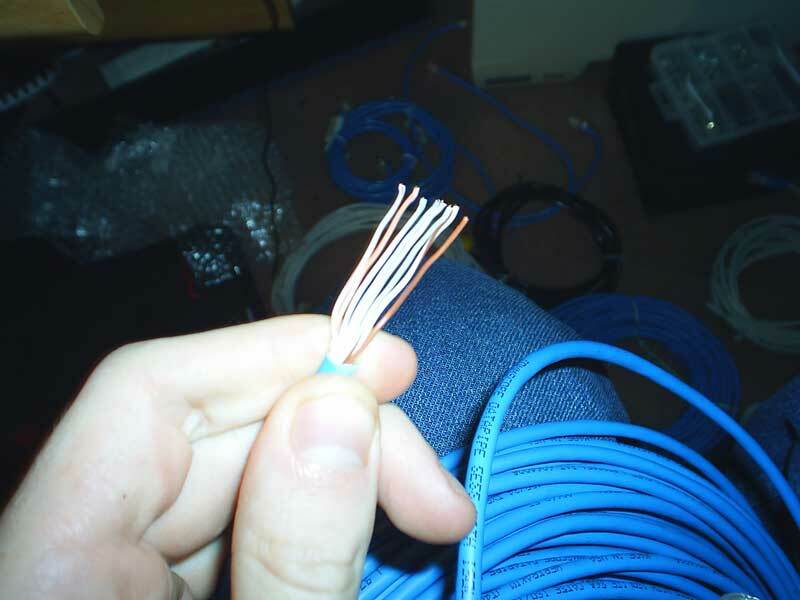 Make sure that you keep the wires in this order for the rest of the time before you crimp the connector onto these wires. The distance that the wires are in this picture is how long they should be before putting them into the connector for crimping. 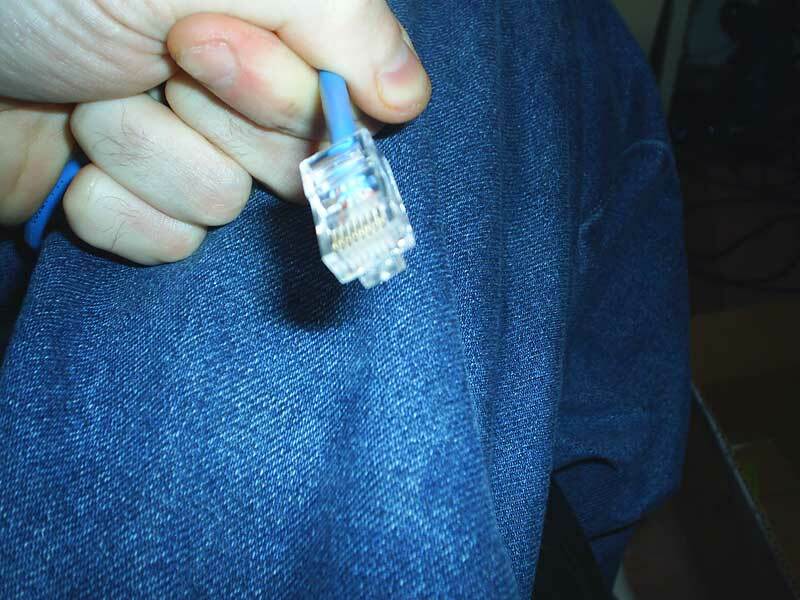 Put your wires into the RJ-45 connector with the brown wires being on the left in this image and the orange wires on the right side. Once your wires are in you are ready to crimp. 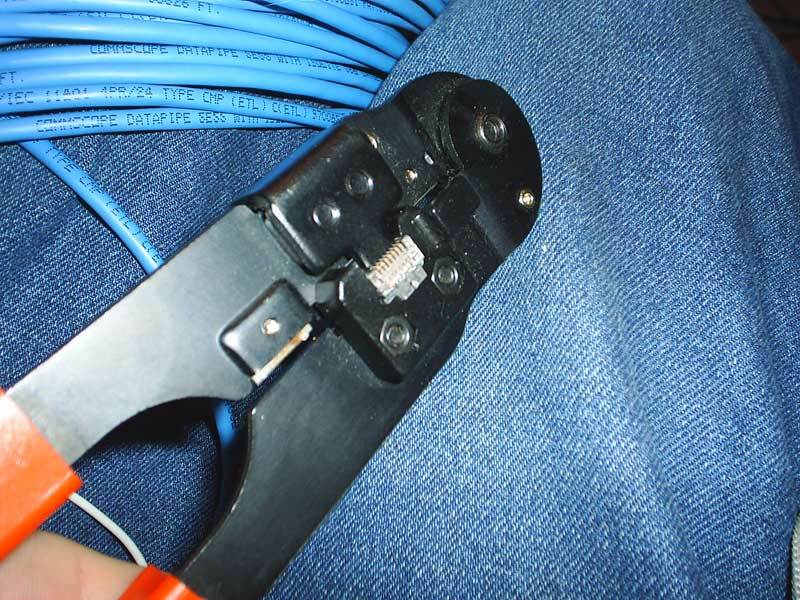 Crimp your wires with the RJ-45 crimping tool and make sure that the wires do not come loose before crimping or else you may have to cut the cable and do the whole process again. It takes time before you can always make good cables but if you follow my method you will be much more likely to not run into problems. 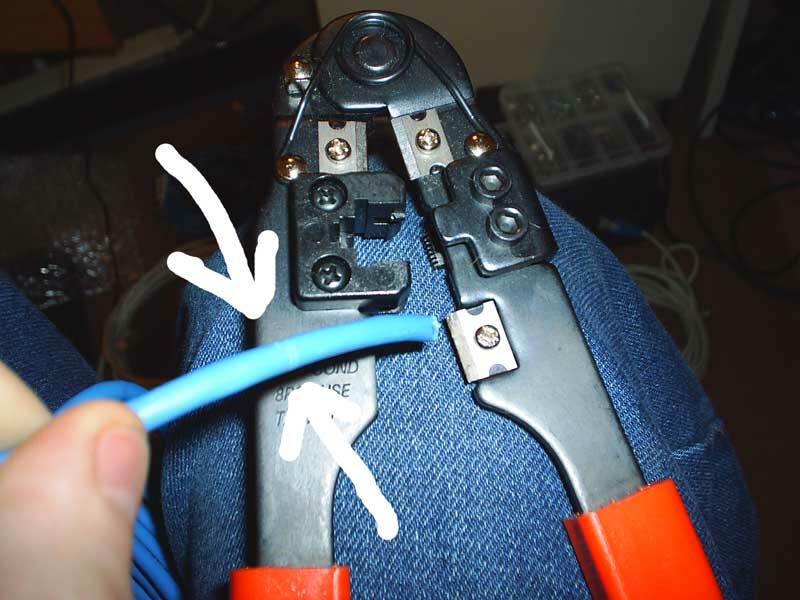 Make the other end of the wire by giving yourself the proper cable distance plus around 4-6 extra inches for cutting and crimping in case one goes bad. Both ends of the cable have to be wired in the same pattern in order for the cable to work. So if you are repairing a cable, PLEASE cut off both ends and just replace both to ensure that the cable will work. If you can do all this you can effective set up your own network and manage it once you learn some networking techniques. 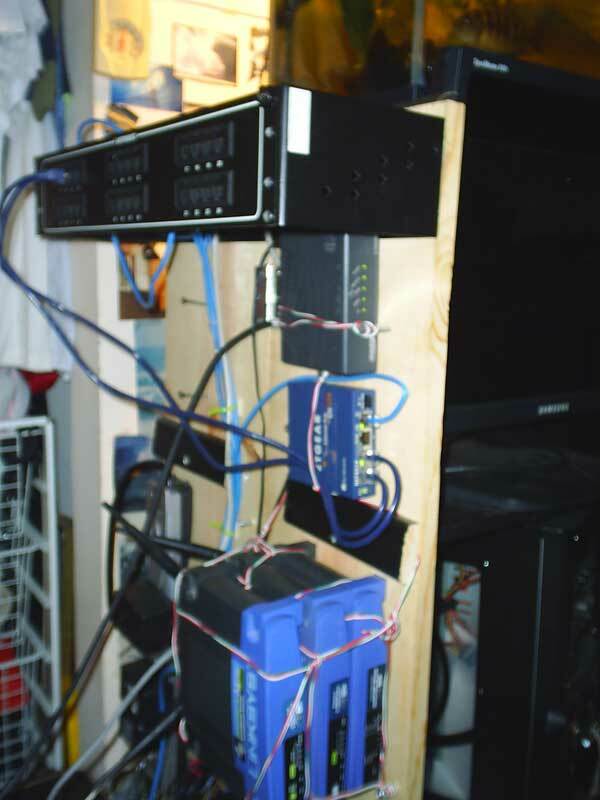 Nice, I learned how to make Ethernet cables in my Cisco class in high school. A lot of people don't know how to do this and I hope this method works for others trying it out.